Couser Orthodontics | What Is Two-Phase Orthodontic Treatment? These days, it is common to see many younger patients with braces on both permanent and baby teeth. However, not all patients benefit from early interceptive treatment, or two-phase treatment, instead of the traditional orthodontic treatment approach. Appropriate orthodontic treatment is not a “one size fits all” approach. Each patient has unique needs and requires a customized treatment plan to achieve an ideal result. For this reason, the American Association of Orthodontists has educated the public for many years to seek an orthodontic evaluation no later than 7 years of age, or at the first recognition of the existence of an orthodontic problem. Category 3 – The teeth or jaws have moderate to severe problems. This may include crowding, ectopically positioned permanent teeth, unfavorable early loss of primary teeth, cross-bites, underbites, or imbalance of the jaws. In some of these cases, Dr. Couser may recommend early interceptive treatment or two-phase treatment at this age to avoid future problems. This will require a second phase or full treatment after the permanent teeth have erupted for a comprehensive result. There are a small number of cases that benefit from two-phase orthodontic treatment. There are many orthodontists that will recommend two-phase treatment for almost every patient. They lead the parents to believe that if they don’t do early treatment then their child’s teeth will suffer greatly. This is usually false. The bottom line is that two-phase treatment costs more than one phase. If you have been told that your child needs early or two-phase treatment, please schedule a free consultation with Dr Couser to see if his opinion differs. Phase-one treatment is limited to specific goals and objectives since only some of the permanent teeth are present. Phase-one treatment is custom designed to the unique early needs of each individual patient. Some phase-one patients have braces on permanent and baby teeth of both the upper and lower jaw, while others have them on only the upper or lower jaw. Other patient’s phase one treatment may include a fixed appliance, a removable retainer, or other treatment. On average, phase-one treatment is completed within 12 months. It is not uncommon to see different phase-one treatment for members of even the same family. Rest assured, Dr. Couser thoroughly evaluates each patient to determine which phase-one strategy will help your child achieve the best possible phase-one result. At the end of the first phase of treatment, teeth are not in their final positions. In the resting period, we are waiting for the remaining permanent teeth to erupt. Retainers are usually recommended, but they often only cover select teeth to avoid interfering with erupting teeth. A successful first phase will have created room for permanent teeth to find an eruption path. Otherwise, they may become impacted or severely displaced. Selective removal of certain baby teeth may be in the best interest of enhancing eruption of the permanent teeth during this resting phase. 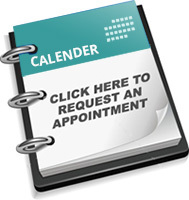 Therefore, periodic recall appointments for observation are necessary, usually on a six-month basis. The second phase begins when all permanent teeth have erupted around 12-13 years of age. Unlike the limited goals of phase-one, the goals of the second phase are more comprehensive in nature. Not only do we want to make sure each tooth is in the ideal location where it is in harmony with the lips, cheeks, tongue, and other teeth, but we want to make sure the upper and lower jaw are in good balance as well. When this equilibrium is established, the teeth will function together properly. Phase two usually involves full upper and lower braces on all of the permanent teeth, or Invisalign Teen. Elastics or rubber bands are commonly used as well. Afterwards, retainers are worn to ensure you maintain the smile you worked so hard to obtain.